Are you worried about too much direct flow with the Hydor? Nah. I prefer the flow rate on the Hydor, but it's pretty big relative to the others and I don't have a lot of room for it given the size of the volcano. Twice the flow, and the quietest. Also, can't you direct the flow on the Hydor? Yeah you can direct the flow. 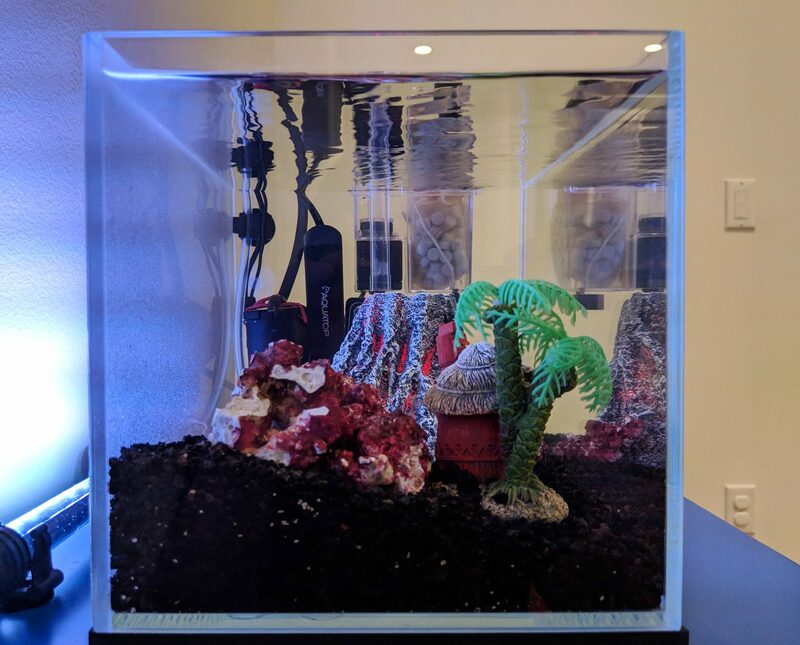 Yeah the mount that it came with makes the ph take up a lot of space in the tank. Yeah there's actually very little space behind the volcano. I'll play around with both tho. See what I can squeeze back there. Nice! It looks good! I'm guessing the heater doesn't fit in your HOB? Yeah my HOB is tiny. Watching finding nemo that must have been so much fun. Tank looks super. 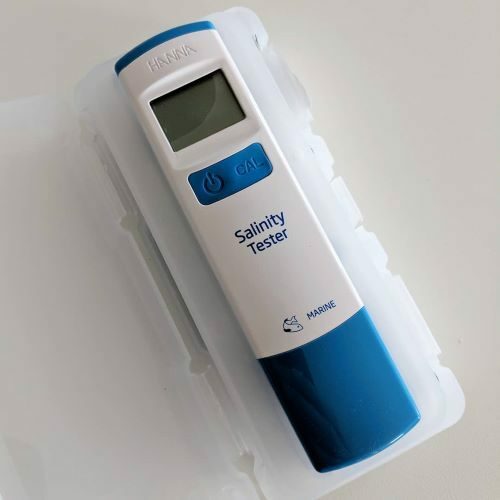 Are you testing water parameters yet? He loved it. Up until now the only movies he would watch (tho he doesn't get to watch TV much) are the Disney Cars movies. I think the last time I watched this was close to when it came out back in 2003, so it was a lot more meaningful for me watching it now with my son. Just testing basics while I'm cycling. Definitely not out of the woods yet. Been stuck at 2 ppm ammonia and 0.25 ppm nitrites for like last 3 days. It's really cool to watch a child's reaction to movies. One of my nephews was 3 when he 1st saw Finding Nemo, he freaked out that Nemo's mom disappeared & then was lost from his dad. Poor kid had night terrors for a little bit afterwards. Yeah, my tank is still stewing & it's just pretty boring. At least you have an awesome volcano to play with & your powerhead is very incunspicuous! Yeah. 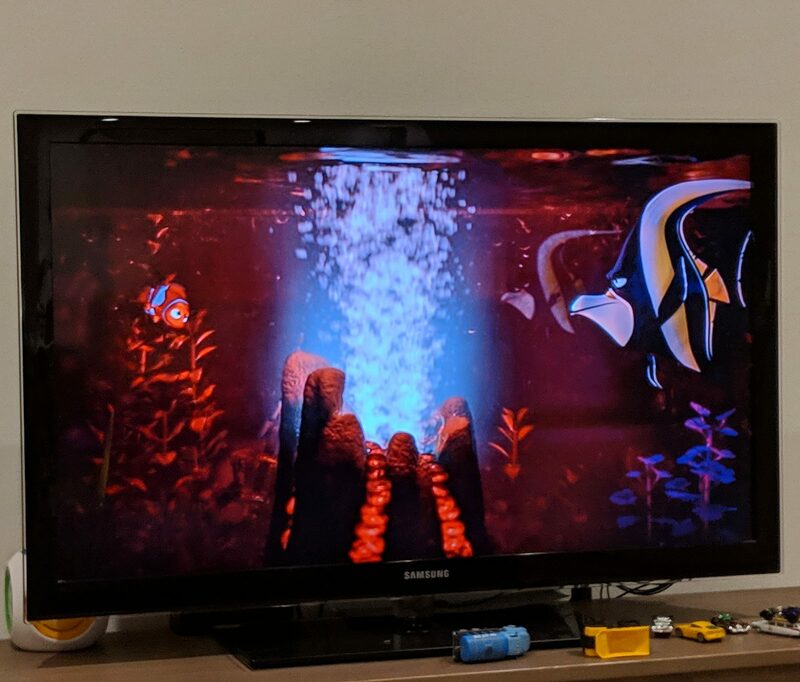 I was worried about the death/loss element of Finding Nemo for my son as well. 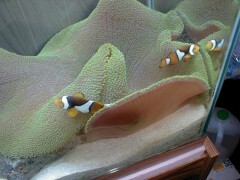 He seemed genuinely concerned, but so happy when Marlin and Nemo found each other. Definitely boring waiting for the cycle. Totally looking forward to the end of that. 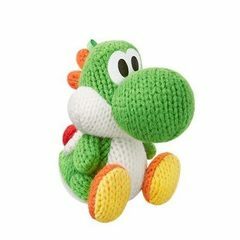 I'm just finding misc. side projects to work on in the meantime. Will try to focus on ATO next. Decided to treat myself (and make my life easier) with one of these. Never used this before. 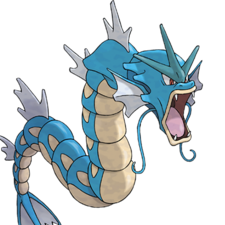 Can I put this directly in the aquarium to test (or do I have to test in a separate container)? Also, my refractometer and the Hanna checker are off from each other. 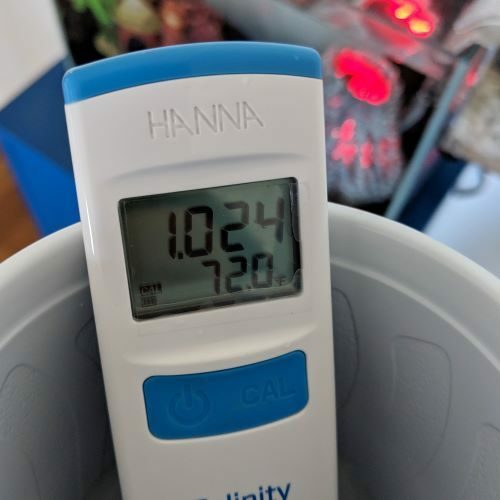 Calibrated the Hanna check using the solution it came in twice. I think I may need to calibrate my refractometer (though it hasn't been that long since the last time I calibrated it). This the best thing ever!! I love mine! Just pop it in the aquarium itself....give it a little shake to make sure there are no bubbles on the contacts and then give it a few seconds. I usually rinse mine off in rodi after I've used it. I know you'll love it too. I just went through this mess this weekend. 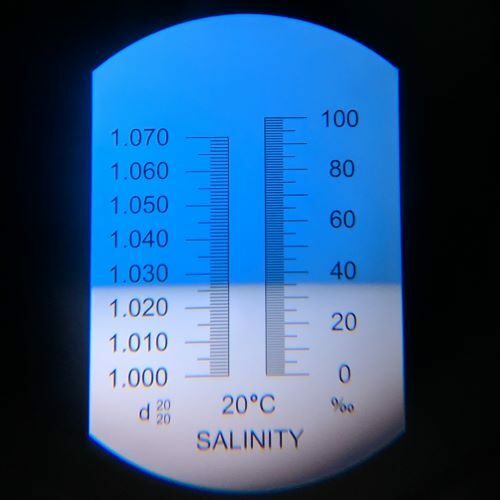 Saw my salinity was low, adjusted, then questioned my refractometer and busted out the calibration solution. Calibration solution was wildly off from current readings. added fw, pulled SW, then added salt. back forth. 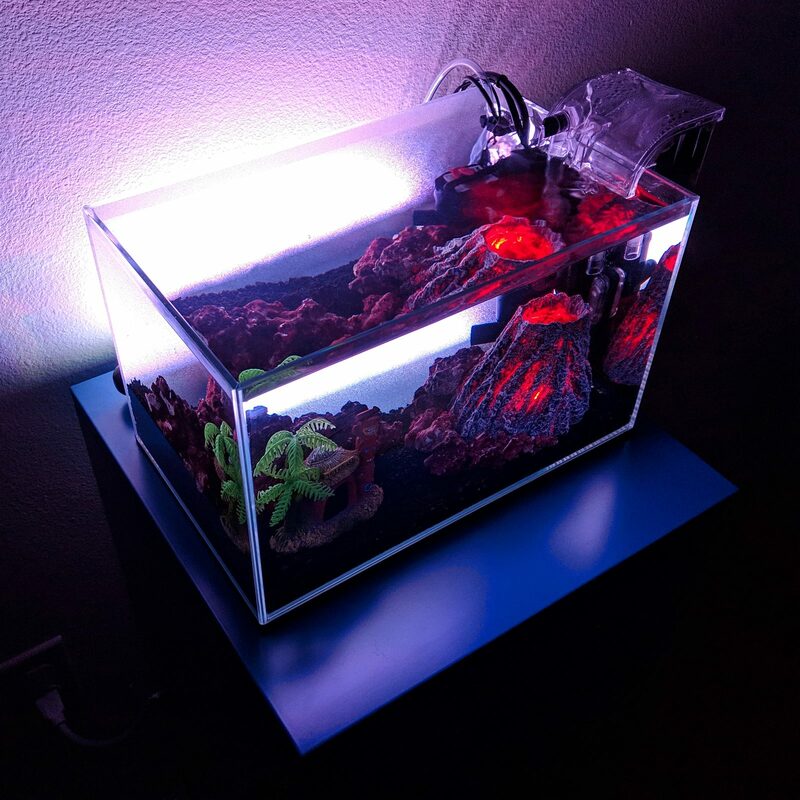 finally tested with another reefer's 35ppt salinity and recalibrated. guess the solution goes off, since it wasn't close. Odd since it is a threaded container i was using, and had been stored away, in my basement for a couple years. 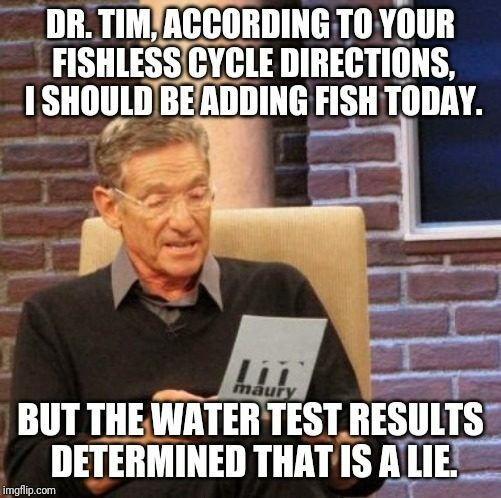 Needless to say, the salinity swings did not please everyone. Decided not to put the rock that was treated for aiptasia back into the pico. 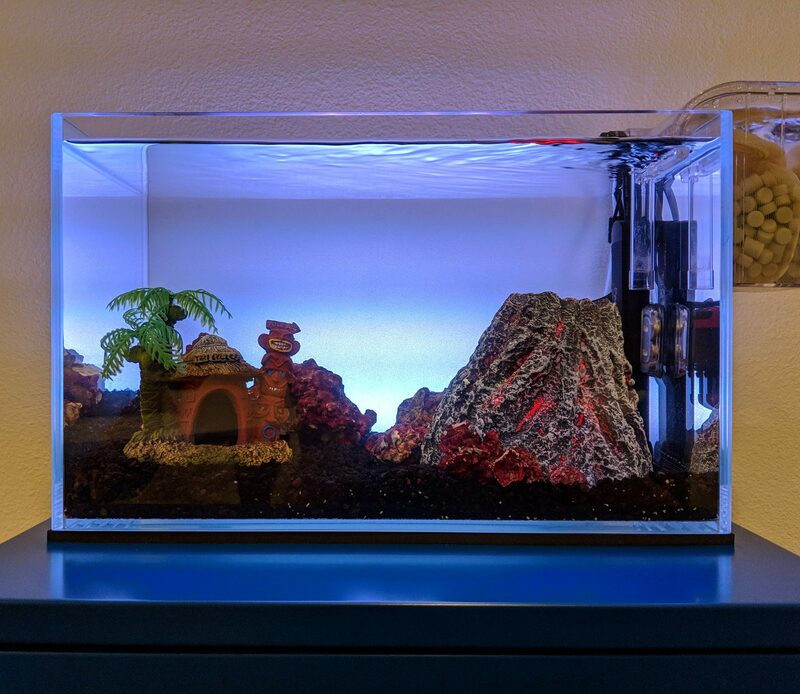 Found a replacement rock rubble piece and added it to the scape. But since all of the pieces are coming from the same bin, there will likely be more. 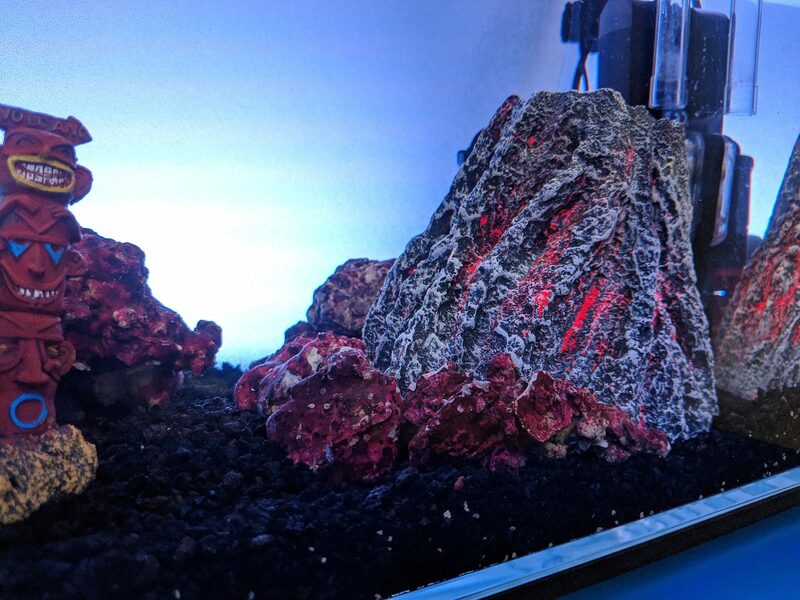 Here's a shot showing the new rock rubble piece integrated into the section of the scape that hugs the volcano, though pretty hard to tell the difference from the pre-aiptasia scape. 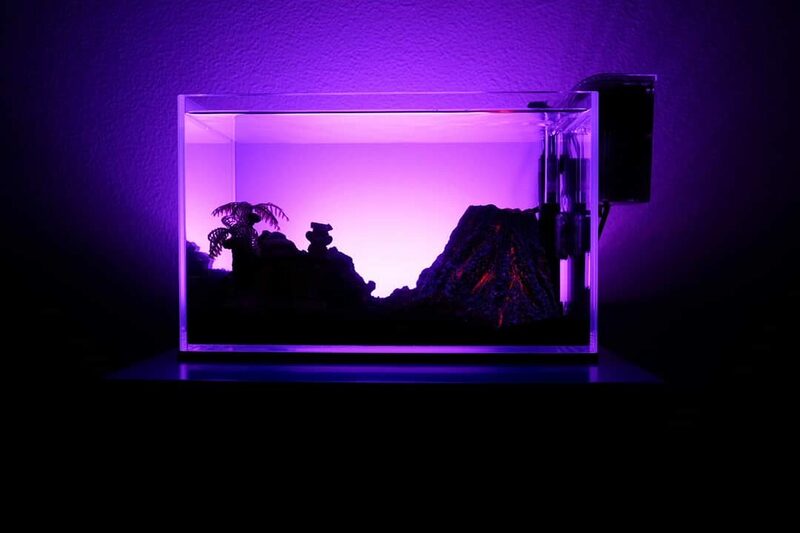 Anyway, ending this weekend with a purple FTS. 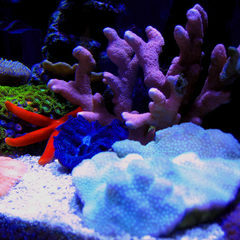 Goodnight, reefers! Think my favorite totem face is the bottom one... but it’s a tight race. 😂 You made me take a harder look at that totem (didn't really look carefully until now). Tough call, but I like the middle guy. Haha. Lava shot! Hope y'all have a good start of the week. This tank just keeps getting better and better. Looked at my pico just now to find a literal pod blizzard. Like pods everwhere. On the walls, on the heater, floating around in the water, taking fun rides up into the HOB. Everywhere. 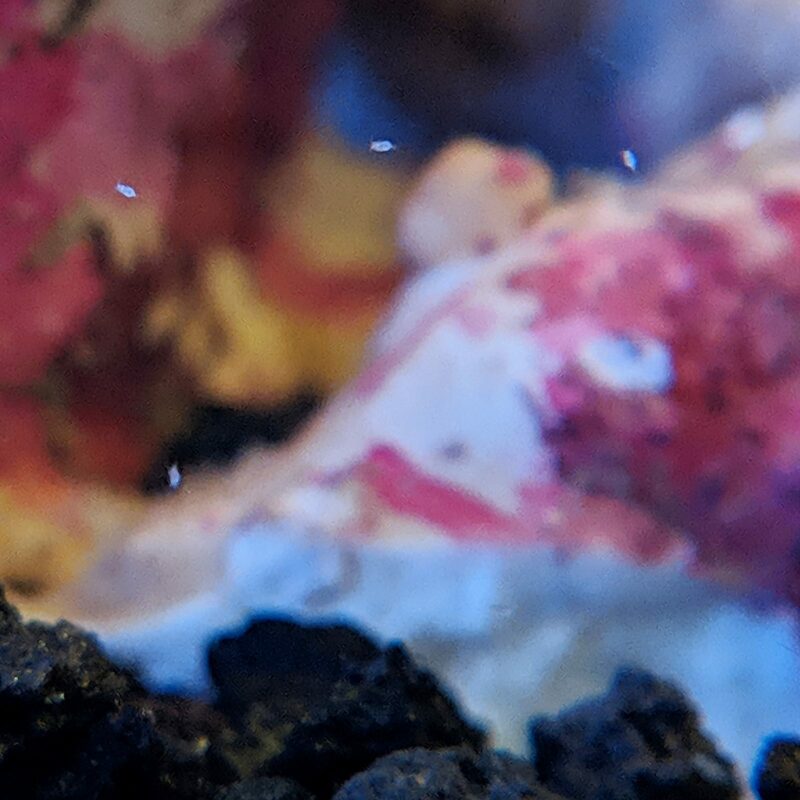 I was actually planning on adding copepods to add biodiversity and have a pod CUC, but maybe I don't need them? Or maybe there's no such thing as too many copepods. I may still add more cuz I love me some pods. Anyway, here's the best I could do in terms of capturing a photo of a few pods with my phone and ReefLens. Day 8 of my cycle. 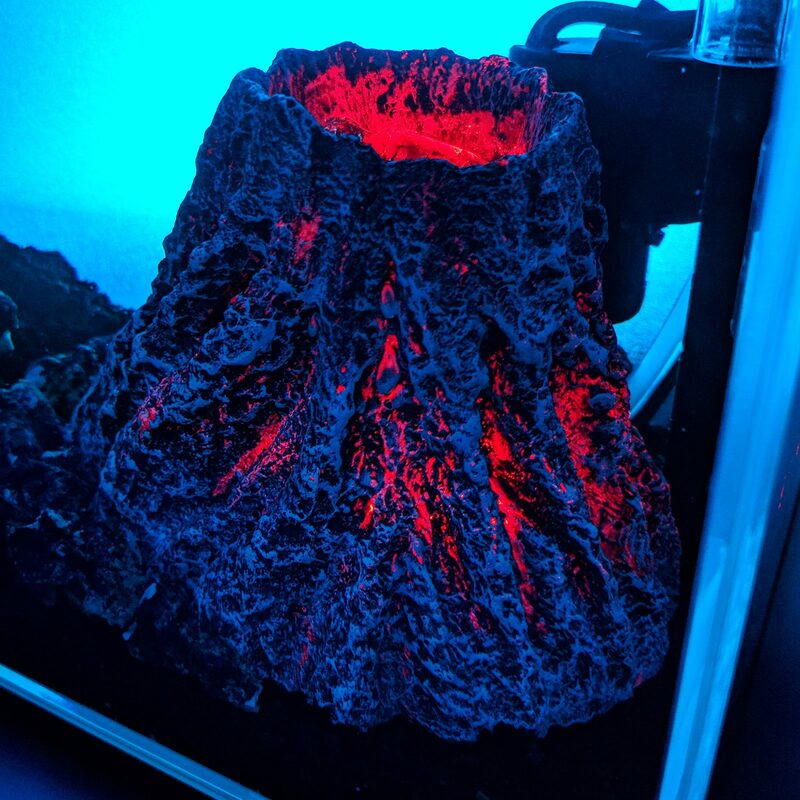 Some of you have been asking me for a better shot of the volcano, so here it is. Just kidding. 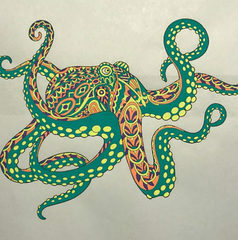 No one has asked, but here it is anyway. Pretty nice details on this thing. In addition to silent micro pumps, Hydor also makes a solid volcano.